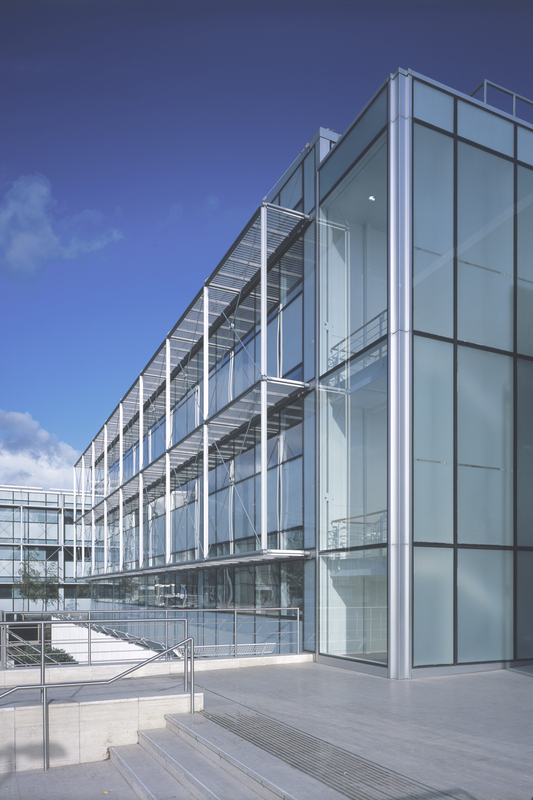 The 9,500 sq.m second phase of the Leeds City Office Park development, designed specifically for high density occupation by BT Cellnet. 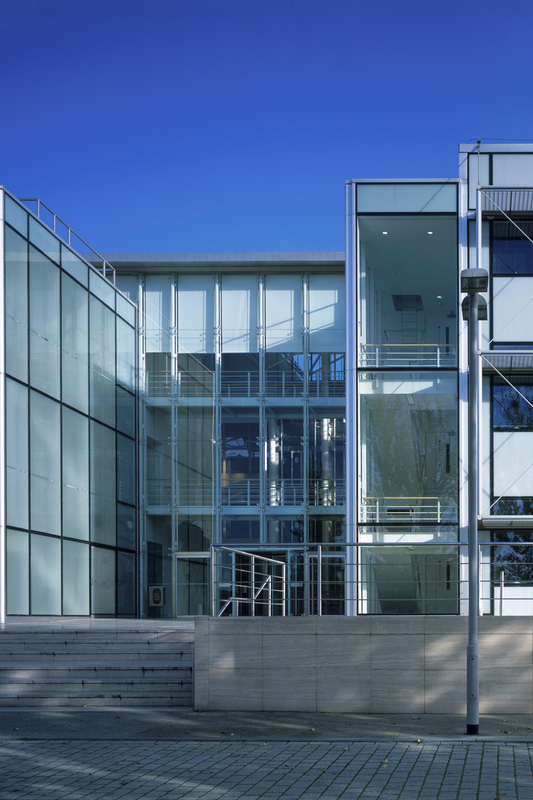 Three storeys of office accommodation is organised around a central atrium, which provides amenity space at ground level daylighting and forms an integral part of the building’s ventilation and cooling system. 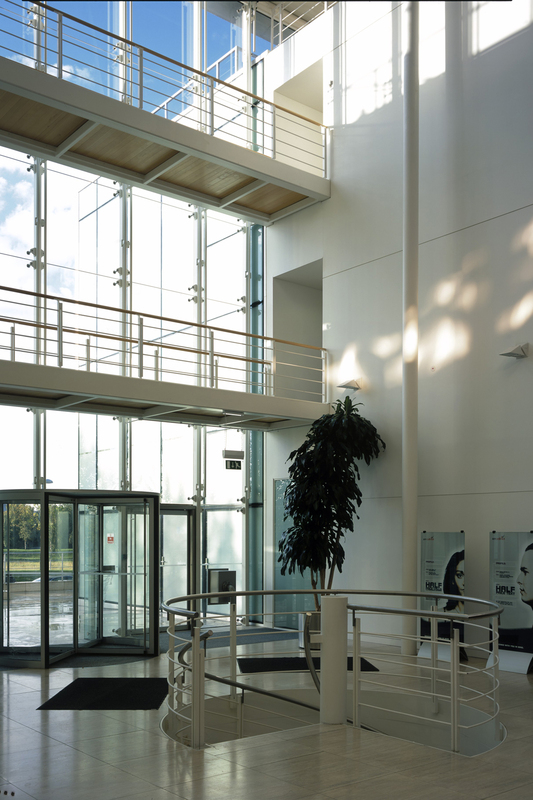 In the office areas displacement ventilation, articulated concrete soffits and an integrated chilled ceiling system enabled the building to be occupied to high density whilst reducing energy use to a fraction of what would have been required by conventional air conditioning technology.